Read this from one of the staunch PF guys in CB. Letter to my President, HE Edgar Chagwa Lungu. As your ordinary ward leader in Kitwe, I have no right to issue an official party statement, so please consider this as my open personal opinion from my heart to you. Sir, it’s painful losing to NDC, not because it’s Chishimba Kambwili involved but because our party seems to care less to differentiate between rural and urban Voters and their elasticity to voting for change or retaining leadership. In Peri Urban areas, the key factors are Price of Fuel, mealie meal Employment levels, Health care, Education and social welfare. In rural areas, it’s just about the roads and my surname. Mr President, a lot of people around you are dishonest. When Kambwili was arrested for speaking for over 600 Zambians in Luanshya who were working for a Chinese Contractor without proper PPE and Contracts of employment few months, I was disappointed. Those 600 casual workers represented over 3000 Luanshya families and friends. Instead of defending Zambian employees, we went for CK. People thought they were fixing Kambwili, but indirectly they were fighting the Luanshya voters who were suffering. Who was supposed to advise the president that it was a wrong political move? Why did Prof Nkandu Luo come and shut down CBU a week before a bye election in Luanshya, an area less than 50 km from Kitwe? Do you think Luanshya families with kids at CBU were happy? Who was supposed to advise the president that it was a wrong political move to shut down indefinitely a University in the same province where you will be holding a bye election? Has sudden wealth blind folded some of these presidential appointees from reality? Your Excellency, some of your leaders spend more time fighting individuals instead of fighting Poverty and the welfare of the Voters. It’s like some of your leaders are now richer than their entire Ministry budgets so they don’t care losing in 2021. 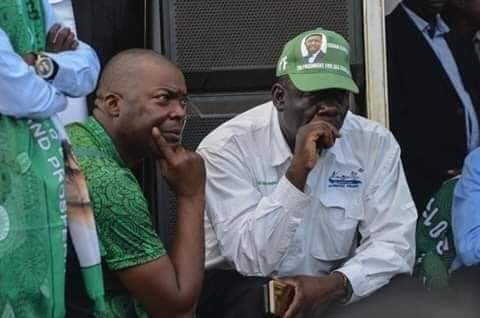 How many times did our leadership mention Chishimba Kambwili instead of the NDC candidate, who up to now, I know not. We have turned our Media into a daily Kambwili studio, we have no time to ignore irrelevancy. You are the only one I heard who mentioned development agenda for Roan such as building a mini hospital in Maposa and New Secondary school in the same area. We have lost Roan seat not because Kambwili is popular but because a lot of people around you are misinforming you. Your leaders are quoted in news issuing statements with vengeance and and are very arrogant to matters affecting Zambians, the same Zambians who will be casting votes in 2021. You are the only president who doesn’t like reshuffling and dropping leaders around you because of your good heart but it’s clear this will work against us in 2021. You are tagging too many non performing leaders with you. We have to get back to satisfying Zambians and not satisfying our tummies. Politics of brutalising your opponent are long gone in African politics. We beat Kambwili but the Roan voters have now beaten us. People may be quiet to protect their jobs and Contracts, but they just speak against you in the Voting booths. Mr President, we still have lots of time to make changes. Long live your leadership and May God keep protecting you for us..
You are wasting your time my friend. For how long has pf been in power? Tell me what impact have they made to the ordinary citizen? THE EXCHANGE RATE IS k10 or K11 from K5. Cost of commodities is so devastating, MEALIE MEAL IS k 112 from K34 what a government is this? Farmers are demotivated, not being paid for their maize.Children are failing to go to school in so many families all over the country. The people enjoying are cadres who play with government money all the time. Public workers are not getting paid.Students are not getting their meal allowances.The police fear cadres for fear of loosing jobs. Zambians are getting shorter and shorter in height and so slim because of change in genes due to poor diet. Tall people are becoming less and less during PF reign. Under PF you get more of illiterate ministers. No wonder we are suffering like this. I am surprised that you are the only one happy with suffering and you want to stick with PF? Were you not born during President Mwanawasa’s reign? That was zambia. Not this Zambia. THE AUTHOR OF THIS ARTICLE IS GALLANT MEMBER OF THE PF AND HE IS FIT TO BE ADVISER OF THE REPUBLICAN PRESIDENT BECAUSE OF HIS BALANCED VIEW OF ZAMBIAN POLITICS. CURRENTLY NO PF MEMBER CAN TELL THE PF THAT “Politics of brutalizing your opponents are long gone in African politics. We beat Kambwili but the Roan voters have now beaten us.” CAN THE PF GIVE ITS EAR TO SUCH SOBER MINDS? CAN LUSAMBO SEE SENSE IN THIS ARTICLE? CAN KAMPYONGO SEE SENSE IN THIS ARTICLE? CAN KAPATA OR MUMBI OR CHEWE SENSE IN THIS ARTICLE?